Very often, we can design a monogram that can be replicated on your guest book, the wedding cake or even on the dance floor! Visit our Dallas bridal boutique to learn more about how we can customize your dream wedding day to be tailored specifically to you. We would be honored to be a part of the most treasured occasion in your life. 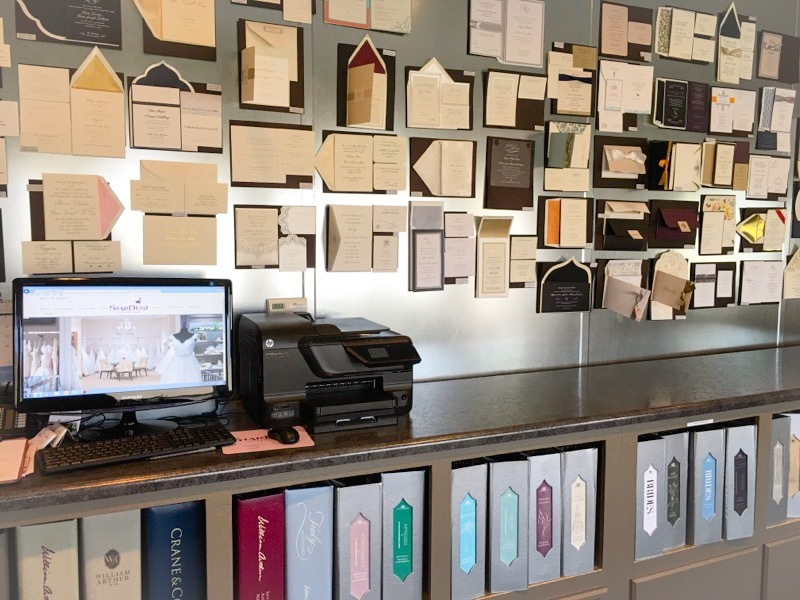 Come in for a visit and receive assistance with special invitation wording or suggestions for custom wedding programs and menus. We offer in house printing for those quickly needed projects or expert print shops should you wish to have engraved invitations. Call 972-781-1619 to schedule a consultation.